Southeast Asia is a relative newcomer to the luxury yacht chartering world, yet spend but a single day sailing the warm turquoise waters of this tropical paradise and you’ll be left wondering what on earth has taken everyone so long. The Andaman Sea, Gulf of Thailand and Gulf of Bengal play host to some of the most idyllic coves you’ll ever see, with thousands of enticing islands and mainland hubs simply brimming with exotic temples, ancient ruins and friendly, ever-smiley people. It’s quite ironic, in fact, that the one corner of the world most suited to luxury yacht charter, is also one of its least explored by seafaring adventurers. On Southeast Asia yacht charters, the diving world is your unsurpassed oyster. Here, you can dive over a mind-boggling 38,500 square miles of coral reef systems, three of which have the highest biodiversity on earth. Snorkel alongside Loggerhead Turtles on Indonesia’s revered Gili Islands, explore the marine life-rich Rajat Ampat Islands and, if you strike diving-gold, glide alongside giant whale sharks off the shores of Thailand’s most picturesque Similan Islands. Want culture, history, and mystery? Then a Southeast Asia yacht charter is your ideal escape. 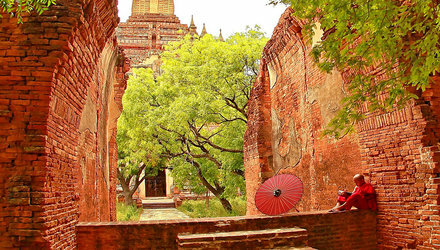 Feast your senses on the ancient wonders of Thailand, Myanmar, and the Philippines, where you’ll discover awe-inspiring temples standing alongside vertiginous skyscrapers, and undiscovered treasures hidden behind lush emerald rainforests. Enjoy the vibrant nightlife of the numerous party islands, shop ‘till you drop in the numerous commercial centers and...among it all...delight in discovering the exotic culinary secrets of this most delectable corner of Asia. With a unique fusion of cultures and ethnicities, Southeast Asia is a melting pot of ancient sites and customs, mouthwatering cuisine, and fascinating history. So hop aboard your own private Southeast Asia yacht charter and discover what we’ve been saying all along: Southeast Asia yacht charters offer some the world’s most unforgettable adventures. A Thailand luxury yacht charter is the ideal start to a first-timer’s jaunt on a Southeast Asia yacht charter. 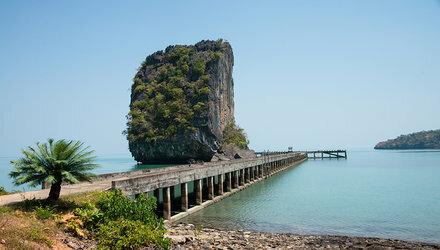 The most visited of all the countries in the region, Thailand is ever-sunny, ever-smiley and ever-easy. With water sports, glam resorts, gorgeous temples and glistening beaches galore, the Land of Smiles offers you unsurpassed variety on your Thailand luxury yacht charter trip. Sail the Gulf of Thailand for more laid-back destinations like Ko Chang – arguably the least developed island in the country, where pristine tropical forests literally cascade down steep hills and dive into the crystalline waters. Or head to the western Andaman coast, where a maze of endless protruding karst islets beg to be climbed or – for the more sedate – simply photographed. Feast your eyes on the energetic night markets of Phuket, enjoy a relaxing massage on of Krabi’s sun-drenched sandy shores or enjoy the whole Technicolor spectacle from the deck of your own private Thailand luxury yacht charter. Aside Thailand, the great majority of people who head here on a Southeast Asia yacht charter, tend to concentrate their sailing days on Indonesia. Who could blame them? This unassuming, sun-blesses country boasts the largest archipelago in the world, and one of its most dramatic. 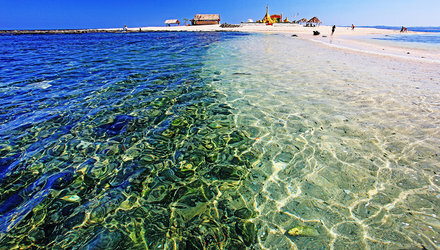 There are more than 17,000 islands which make up Indonesia, many still uninhabited and undiscovered by foreign visitors. This is the second-most biodiverse country on earth home to a myriad of outstanding natural wonders; from pristine rainforests to active volcanoes and striking savannahs. On such fertile soil, it’s little wonder that wildlife thrives both on land and underwater. Endemic and fiercely protected, the creatures of Indonesia are one of its most precious assets. The least developed of all, Indonesia is also where you’ll meet ancient tribes leading life the way it has been since time immemorial. If you are a passionate nature and culture lover, then Indonesia should be at the top of your must-sail list. Head northeast to the remote and impressive Raja Ampat islands, where languid transparent waters host the largest marine wildlife colony known to man. All diving aficionados who head here agree: if there were a SCUBA heaven, this archipelago would definitely be it. Mingle with locals and tourists around the pristine anchorages of Bali, and head inland to explore the esoteric paradise of Ubud, before sailing to the Galapagos of the East. Komodo is the most popular charter destination in Indonesia, home to the gargantuan carnivorous lizard of the same name, where mega-marine fauna - like mantas, sharks and dolphins - congregate just off the shores of the sun-scorched islands. Myanmar stands in complete contrast to its neighbors, both in terms of culture and sailing history. This is the last country to have opened up its waters to Southeast Asia yacht charters in Myanmar, making it an exciting destination for those who dream of less-chartered seas. With more than 1,000 miles of uninterrupted coast, sailing off the western side of the country is as rewarding as it is spectacular from a yacht charter in Myanmar. Left largely unspoiled by Western modernization, Myanmar is the least developed yet most alluring country in this region, especially when explored by sea. Sensational snorkeling, diving and fishing, along with abundant options for on-shore activities, make this an active sailor’s dream hub. There are very few people the world over who have discovered the legendary beauty of the Mergui archipelago, a remote, utterly wild and incredibly dazzling collection of wildlife teeming islands, where macaques, tigers, elephants and rhinos roam the thick jungles undisturbed by human presence. This place is a work in progress as far as Southeast Asia yacht charters in Myanmar are concerned, and new attractions and itineraries are being constantly created. Malaysia is brimming with innumerable tropical islands, many of which can only be reached by boat. Langkawi and Penang, however, are the premier destinations here and both easily combined with a Thailand luxury yacht charter itinerary. Aboard a luxury yacht charter in Malaysia, Langkawi and its family cluster of picturesque islets (some made up of tiny protrusions with only a single palm tree in the middle!) 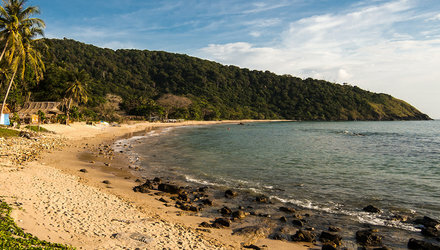 hide a world of jungles, wildlife, limestone caves and superlative snorkeling destinations. Penang, on the other hand, boasts UNESCO-listed Georgetown, a wondrous historic town teeming with charming alleyways, fantastic Indian and Chinese quarters and arguably the best hawker street-food centers in all of Southeast Asia. On your trip aboard luxury yacht charter in Malaysia, If you have more time up your sleeve, including these two Malaysian gems in your Southeast Asia itinerary would certainly be a brilliant idea. Further south is the commercial and business hub of this entire region. Singapore is a world away from both its Malaysian and Indonesian neighbors and is a city-state showcasing astounding modern architecture, head-spinning shopping malls and fabulous fine dining. Aboard a luxury yacht charter in Singapore, spend an entire day lost in the maze of the futuristic Gardens by the Bay, head to the top of the Marina Bay Sands for all-encompassing city and coastal views and go in search of the most delectable Singapore chili mud crab in town. Could there be a more delicious mission in life? For a splash of elegance and luxury on your Southeast Asia yacht charter, Singapore’s got you covered. Over 7,000 islands comprise the world’s second-largest archipelago and offer Southeast Asia yacht charter guests a myriad of incredible adventures both on and off the pristine shores. Remote, secluded, tribal and enticing, the Philippines may be the least-known destination of all in this region, but they are by no means any less gratifying. From the chaotic and vibrant street scenes of the capital, Manila, to the tranquil village life found just a step away; the Philippines offer contrasting experiences at every turn. With the Spanish influence still very much embedded in local culture, this country boasts amazing food, unique customs and arguably the most gregarious people in all of Asia.